A stylish wedding gift for the Groomsmen on the Wedding Day! Available in a variety of titles, makes a lovely keepsake for the special day! 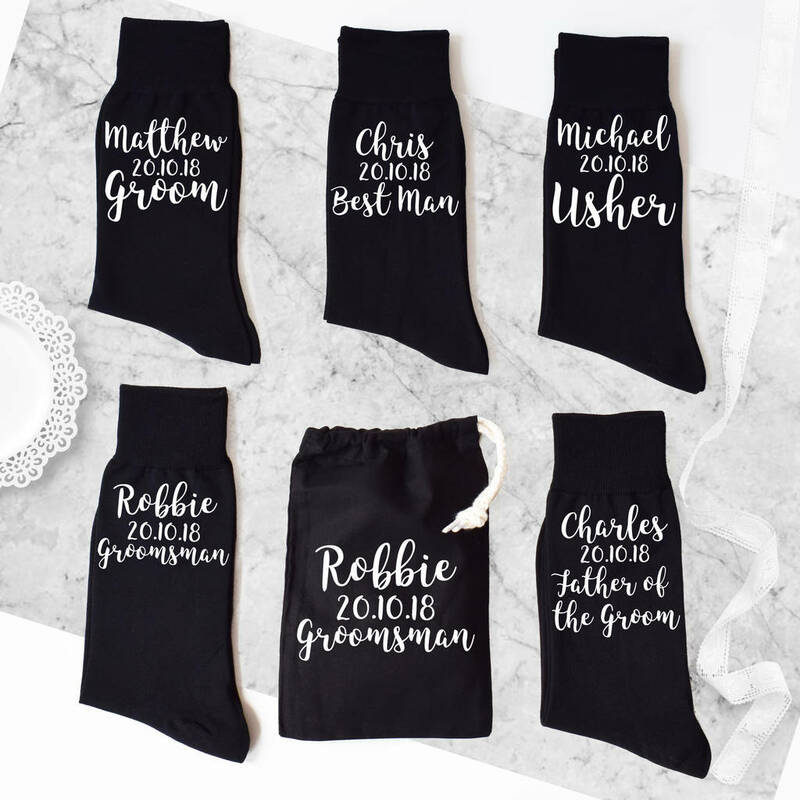 The selected groomsman title will be printed on the outside ankle of each sock. Please select the title of the Groomsman and the let us know the name and date. You can choose either White print, copper rose foil, gold foil, silver foil, baby Blue, Neon Pink or Baby Pink print on the socks. To add additional socks enter each pair of socks as a single unit, so "TEXT", "SOCK COLOUR", "SIZE" etc etc, Leave the Quantity at 1 and press "ADD TO BASKET". Then press the "CONTINUE SHOPPING" button and repeat the process until you have ordered all of the socks that you need. See our full range for other products including Gents boxer briefs!